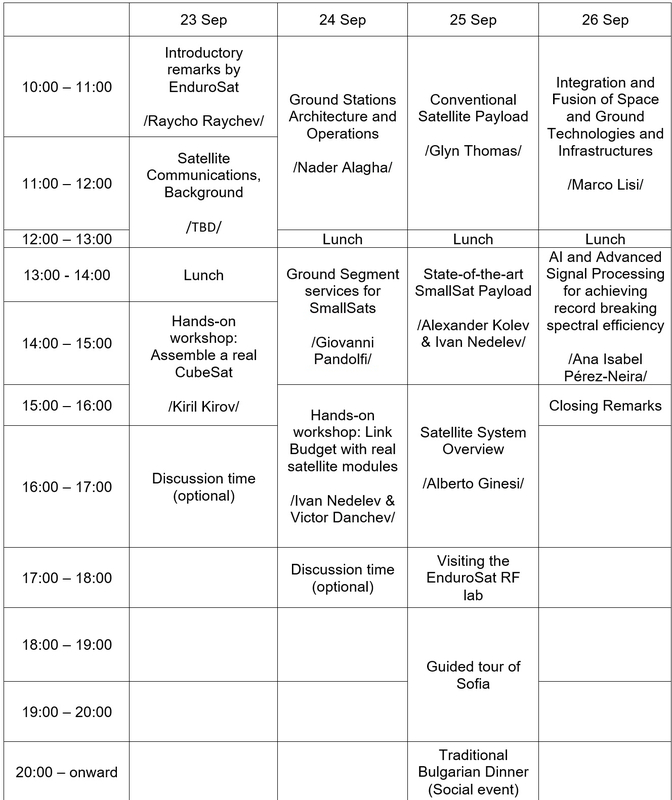 The SatNEx Summer School 2019 is organised by EnduroSat and the Satellite Network of Experts (SatNEx) in Sofia, Bulgaria. The school is intended to give a broad overview of the current state-of-the-art technologies in terms of both traditional and SmallSat communication systems. A main focus is the parallels and contrasts between traditional satellites and small satellites and their possible interoperability with applications such as mesh networks and constellations in the future. The School is intended for people with a general background in Communication Systems who want to have a broad overview on the modern Satellite Communications technologies and future developments. 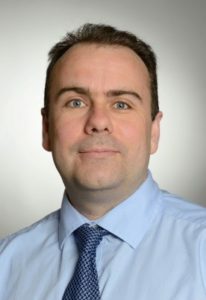 Glyn Thomas is a Senior Expert in flexible, processed and HTS payloads, and is using this capacity to co-ordinate an end to end approach to the design development and specification of end to end future flexible high throughput payloads. Glyn was deputy chief engineer for Airbus Defense and Space payload equipment’s division during the period 2010 to 2014. He previously managed research and development where he generated a number of key patents in the fields of flexible communications payloads. He currently has the role of lead engineer for the key Airbus programme: Enhanced Mobile Broadband and Very High throughput Satellites. Dr. Ing Alberto Ginesi is the Head of the Telecommunication Systems & Techniques Section of the Technical and Quality Management Directorate at the ESA Research and Technology Centre (ESTEC), Noordwijk, The Netherlands. He is responsible for the R&D of satellite telecommunication systems. His main research interests lie in the area of advanced digital communication systems and techniques from theory to HW implementation. 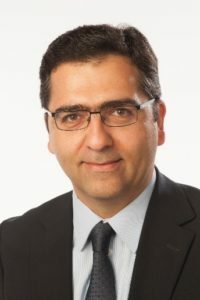 Dr. Ginesi has worked in Nortel Networks and Catena Networks in the 1990s and 2000s, both in Ottawa, Canada, where he worked on Digital Subscriber Loop (DSL) technologies and contributed to the definition of the second-generation ADSL standards within the ITU-R standardization body. Dr. Nader Alagha is the ESA technical lead and coordinator of the Satellite Network of Experts (SatNEx). He has been with the Electrical Engineering Department of the Technical Directorate at European Space Agency Research and Technology Centre (ESTEC) in The Netherlands since 2006 where he has been the technical lead of several activities related to telecommunication systems, payload and ground segment development for broadband, broadcasting and IoT applications. He has taken significant role in these projects from early design stages towards pre-commercialization, verifications and trials. Since 2007, he has been involved in early studies of space-based maritime communications in VHF bands, particularly Automated Identification System (AIS) and VHF Data Exchange Systems (VDES) leading to technology development and In-orbit demonstrations of SAT-AIS and VDES. Prof. Ana Pérez-Neira has been a full professor at Universitat Politècnica de Catalunya in the Signal Theory and Communication department since 2006 and was Vice rector of Research (2010-14). 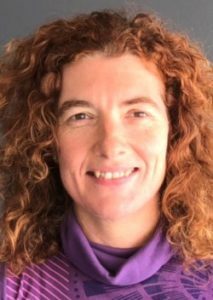 She is fellow researcher at Centre Tecnològic de Telecomunicacions de Catalunya, where she is also the Coordinator of the SatCom and Space activities, having lead more than 20 projects. Her research is in signal processing for communications, focused on satellite communications. She has written more than 60 journal papers, 300 conference papers, co-authored 7 books and she holds 8 patents. Prof. Pérez-Neira. is the coordinator of the Network of Excellence on satellite communications, financed by the European Space Agency: SatnexIV. She has been associate editor of the IEEE TSP and EURASIP SP and ASP. She is member of the BoG of the IEEE SPS. She is recipient for the 2018 EURASIP Society Award and the general chair of IEEE ICASSP’20. 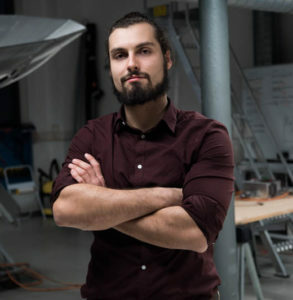 Aleksandar is an RF engineer at EnduroSat. His main interests are in the field of passive antennas design and active antennas systems. He received his Masters degree in the field of Telecommunicatons/RF from Technical University Sofia and is currently doing this PhD thesis there. Raycho Raychev is the founder and CEO of EnduroSat. He is also the founder of several educational programs, most notably the Space Challenges Program. 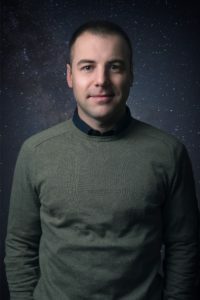 His education includes two Master degrees – Space Management from International Space University and Space Studies Program from the same university. He is also a graduate from Singularity University at NASA Ames Research Center in California, US. 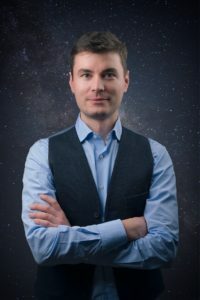 Raycho has served two terms as representative of Bulgaria at Space Generation Advisory Council and has major experience in project management and consulting. He has most recently completed the Stanford University: Endeavor Innovation & Growth program (2018). Ivan is a Communication Systems design engineer at EnduroSat. He has worked on several projects in the company including the cutting edge X-band and S-band transceivers for nanosatellite applications. His previous experience is in RaySat Antenna Systems includes various transceiver from L-band to Ka-band. He received his Masters degree in the field of Telecommunications from Technical University Sofia and a postgraduate qualification on the topic of Satellite Communications and Phased Array Antenna Systems from the same university and RaySat Antenna Systems. 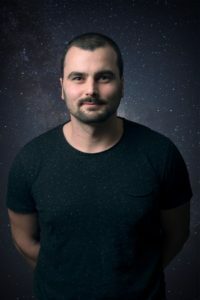 Giovanni Pandolfi is the co-founder and CTO at Leaf Space. His experience in the technical and administrative, managerial and organizational fields was extremely important to the effective management of several projects. Being also Project Manager for a sounding rocket project, he also has acquired the indispensable knowledge of many technical problems, solved in any context with insight and critical thinking skills. Srl. Master Degree in Space Engineering, Politecnico di Milano, Italy (2014-present). 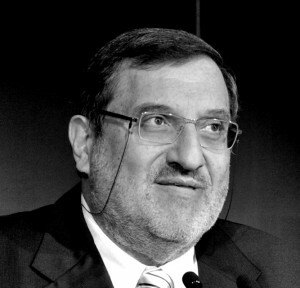 President and General Director at Skyward Experimental Rocketry, Politecnico di Milano, Italy (2012-2015). Bachelor Degree in Aerospace Engineering, Politecnico di Milano, Italy (2014). Junior Design Engineer at D-Orbit Srl, Italy (2014). Dr. ing. Marco Lisi is presently GNSS Senior Engineering Manager at the European Space Agency, in the Navigation Directorate. 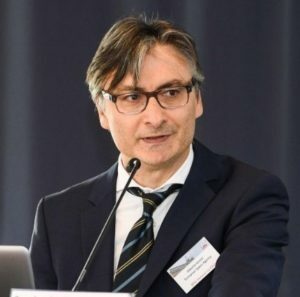 While maintaining his position at ESA, he has been recently (April 2017) appointed as Chief Technical Advisor of the European GNSS Agency (GSA) in Prague. In October 2012, he was appointed Special Advisor of the European Commission on European space policies and he served in this office until October 2014. Dr. ing. Lisi holds five international patents and authored more than two hundred technical papers. He also contributes to several magazines with articles on management, social and economic topics. He is Senior Member of IEEE (“Institute of Electrical and Electronics Engineers”) and AIAA (“American Institute of Aeronautics and Astronautics”) and professional member of ION (“Institute of Navigation”). During his professional career, he was directly involved in a number of major satellite programs. 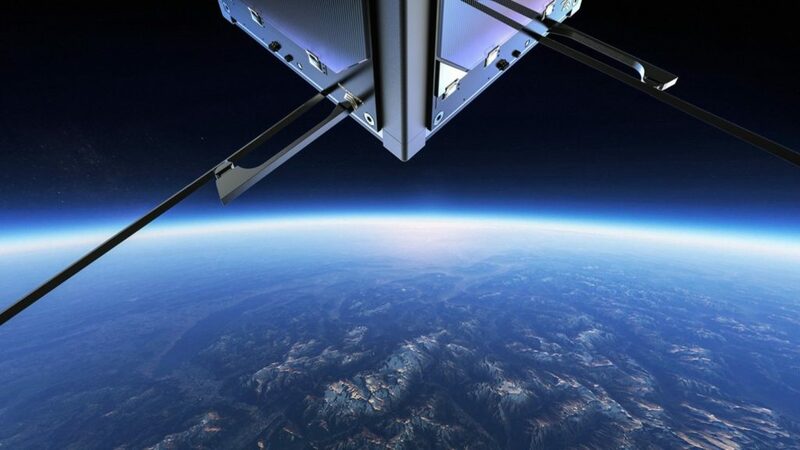 EnduroSat designs, builds and space-qualifies the new type of CubeSats for a range of missions from low Earth orbit to Solar System exploration with a main focus on swarm satellite applications. We believe in craftsmanship and modular design and our products reflect this philosophy, ranging from single hardware pieces to complete mission solutions. 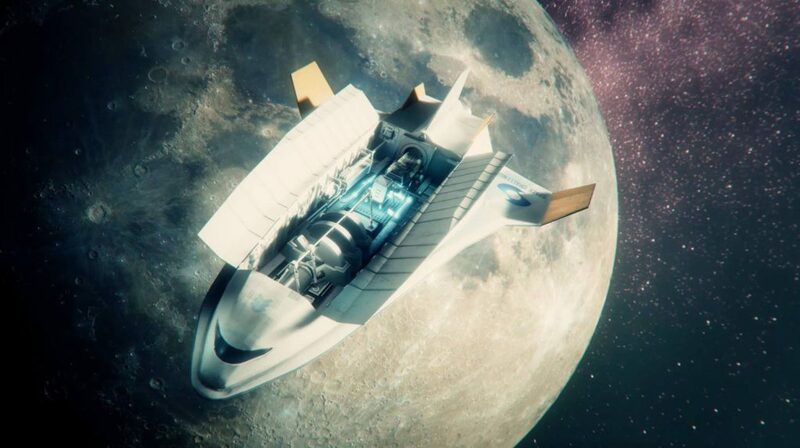 EnduroSat is also the main partner of the Space Challenges Program – the biggest hands-on Space educational program in Europe, and Spaceport – the biggest online platform for Space education. The SatNEx Summer School 2019 will be held in Sofia, Bulgaria during September 23-26. Participants are expected to find their accomodations for the duration of the school.